I am such a poor eater of fruits that I realise my only selections lies within sweet melons, mangoes and perhaps durians at times only. But given the dry and hot spell recently, mangoes and durians are just too heaty for consumption now. 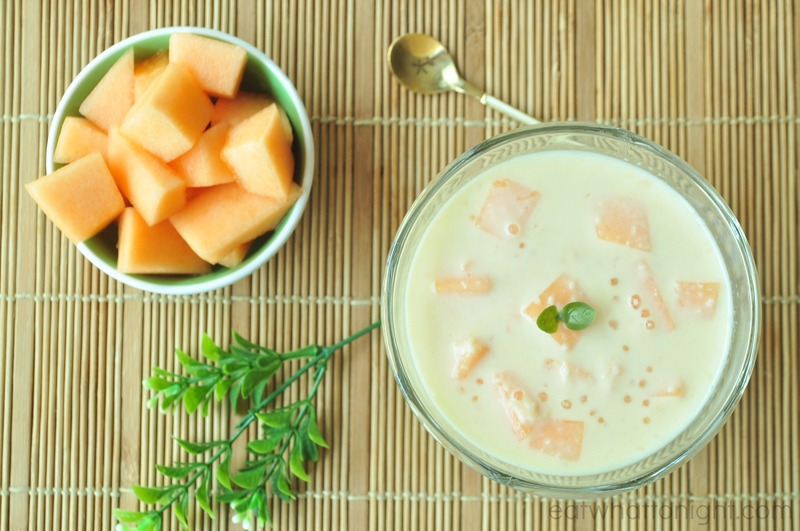 Thereby, sweet melons made a good choice in churning them into ice cold desserts at this time. I was debating against which kind of melons to go for when the supermarket options leave me with little choice. In fact, I assume it must have been the TCM’s advise that watermelons are ideal for beating the haze that causes a shortage of it recently. Fortunately, some really sweet rockmelons are still on the cards and I manage to grab hold of a few in an attempt for this dessert. But what’s really puzzling is that even sago is not available too. Is it any good in combating the haze ? Well, by a bit of luck, I manage to get hold of the sago at a dry market stall which really excites me, otherwise I would have to forsake this dessert plan all together. 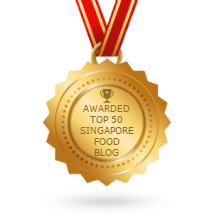 Being the last instalment of the Panasonic Cooking Blog Finalists’ challenge using a Mixer Grinder, I was welcomed to a whole new experience of utilising the most powerful and efficient multi-purpose food processor I ever had. 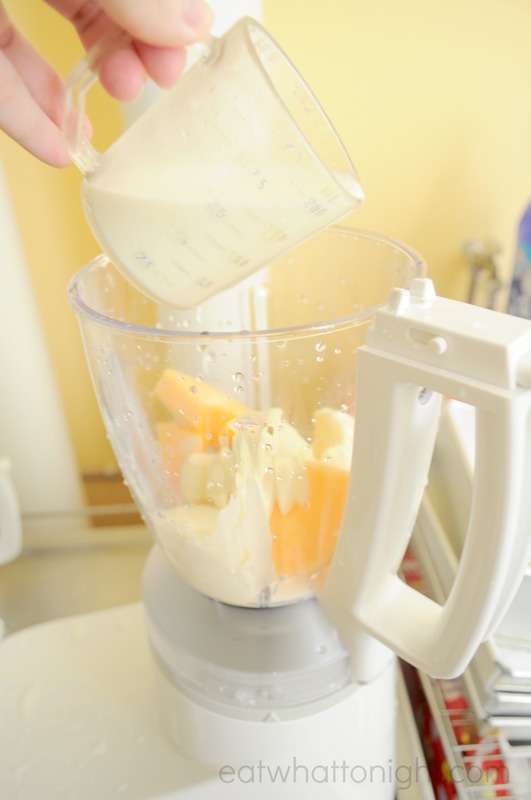 The blender jar was made of unbreakable polycarbonate which certainly proves to be a more durable choice. 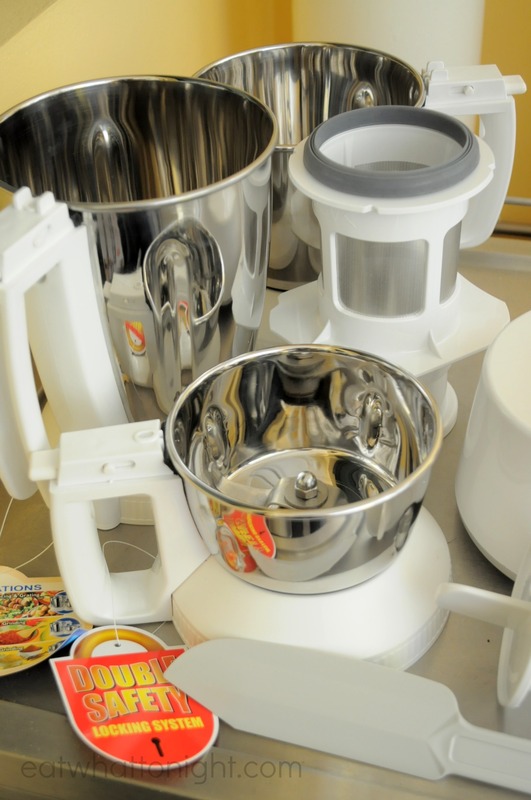 And the rest of the accessories are mostly made of stainless steel which are a far cry from the others, which I noticed, comes mainly from plastics materials. 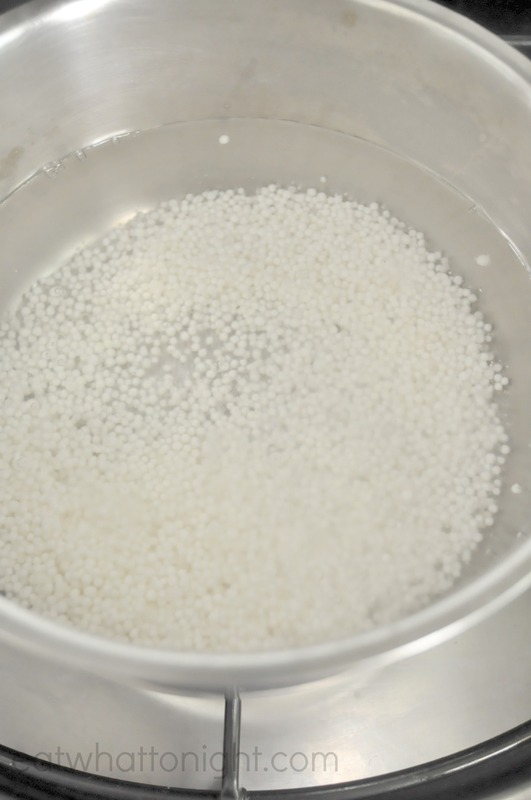 Not only are plastics more inferior in quality, but as time goes by, the stains and scratches inflicted by the plastic jars can be almost impossible to remove. And this is exactly what’s happening to my current food processor ! 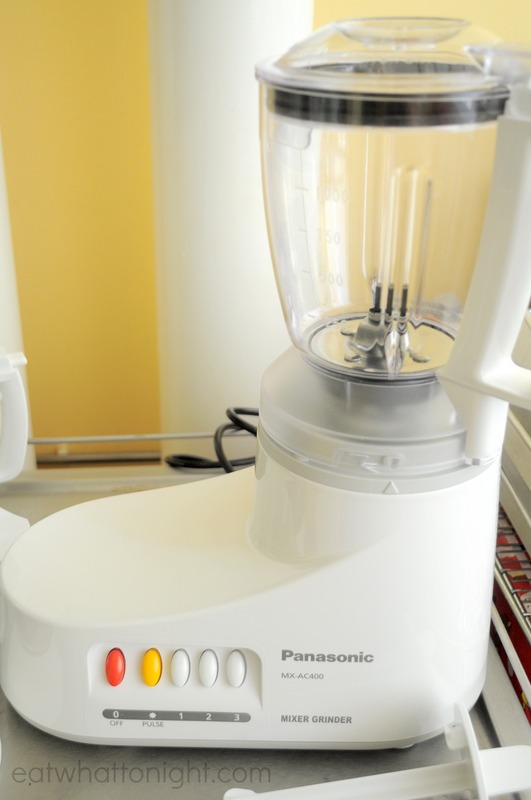 In addition, the Panasonic Mixer Grinder has a double locking function for all its jars and bowls which essentially means that even when the most powerful “turbo” pulse or speed is utilised, they are securely fastened and the machine will be able to secure itself tightly on the tabletop without it moving out of place. Coming back to the desserts, this is indeed a variation of the kinds that was served at hawker dessert stalls. It is creamier, thicker and definitely tastier, mainly because ice-cream was involved ! 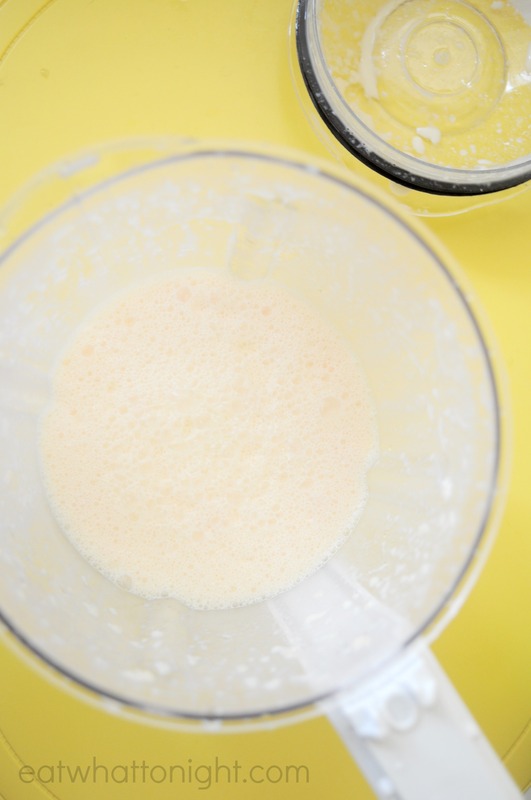 Set off by combing the rockmelon, fresh milk and vanilla ice-cream in a blender and pulse it for 10 seconds or so until all is throughly combined. 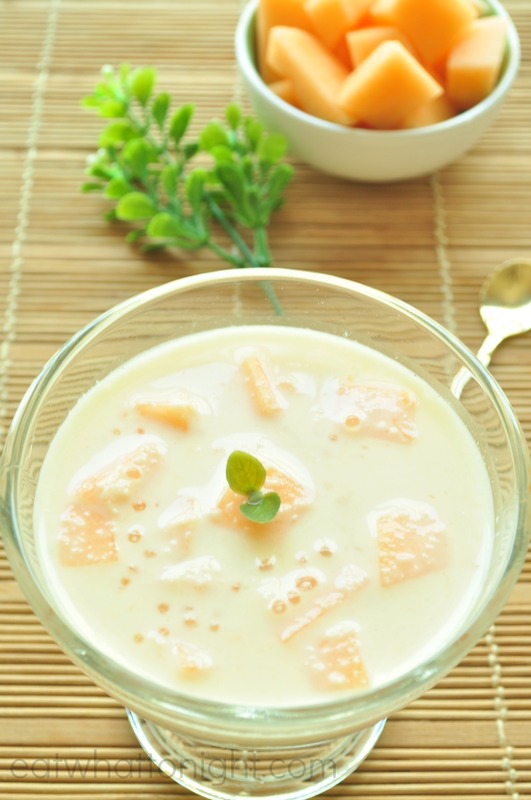 As you notice, this dessert does not include the additions of any sugar syrup or condensed milk which our desserts commonly contain. 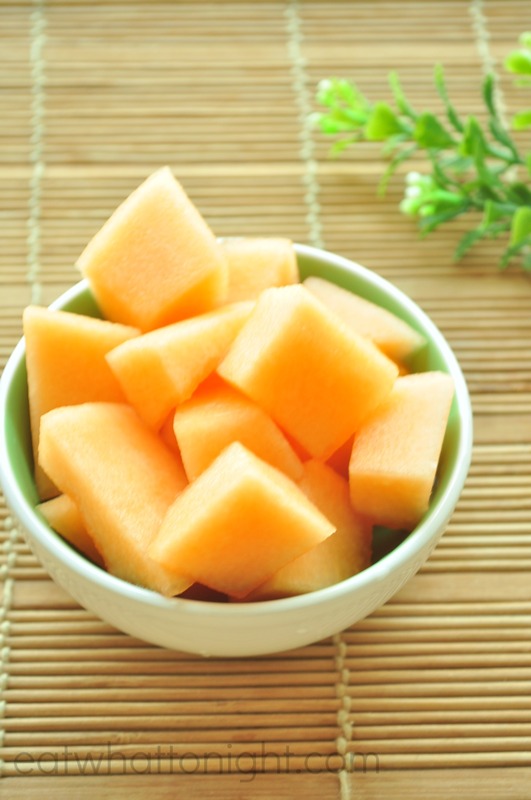 In fact, the natural sweetness comes from the rockmelon fruit itself. 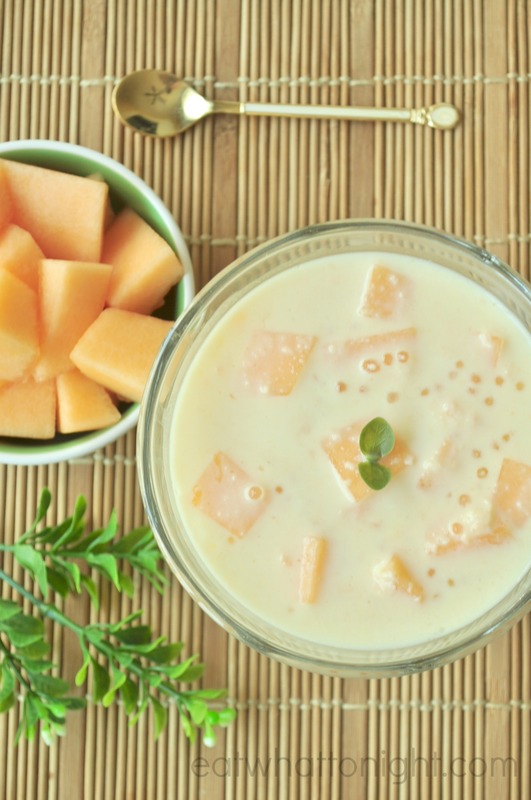 Therefore, take time in choosing a ripe and sweet melon for the best goodness. Simmers the sago in boiling water in an air tight wok. They are ready when they just turn transparent in colour. Do not simmer for too long as they will turn all sticky and start to clog with each other. Let it to cool before using. 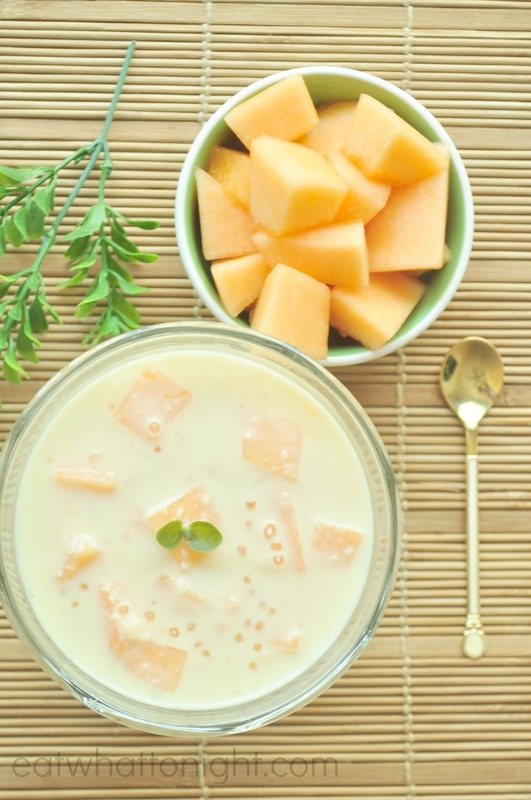 Complete the dessert by the additions of coconut milk, sago and diced rockmelon. And that’s it !! 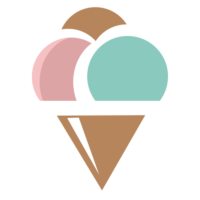 An ice-cold creamy-licious dessert is made available ! 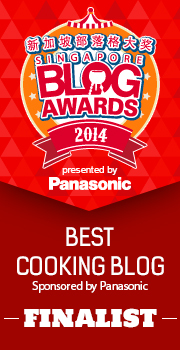 It has been an almost month long worth of attempting recipes using Panasonic products for the various challenges. 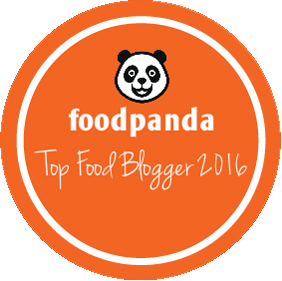 In all, it has been much rewarding with the brain-storming, appliance usage know-how and numerous trials. 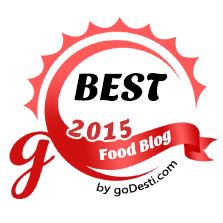 At a time when I felt that the blog has become drier and less inspirational, it sparks off that desire in me to dish up more cuisine and desserts to display on this little journal now. I love a simple fare as what I have grown up on. Therefore, my dishes are mostly evolved around effortless recipes meant for busy working people like myself. However, in time to come, I do aspire to attempt more elaborate cuisine and gear myself up for new challenges. 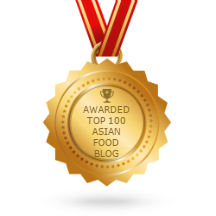 Hence, hoping that more readers will keep coming back to this blog for a delicious treat and your encouragement will be what I gonna lean upon to keep myself motivated from now onwards ! 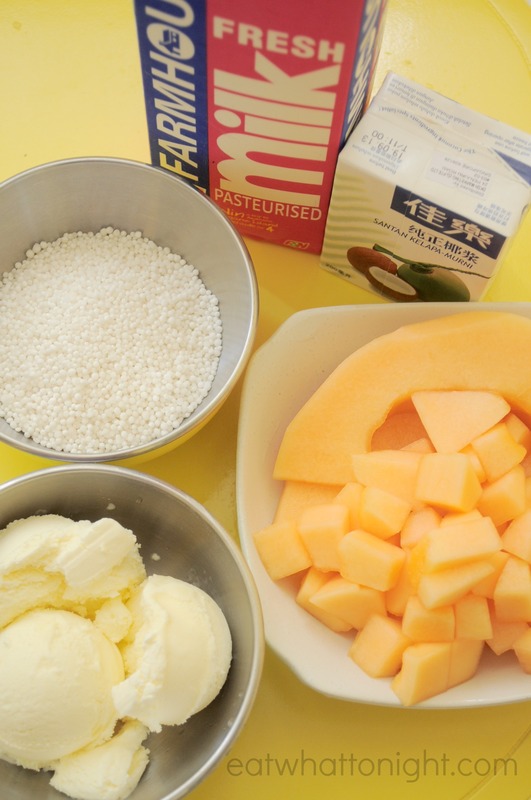 Place all ingredients A in blender, blend until forms smooth rockmelon paste, pour into bowl. 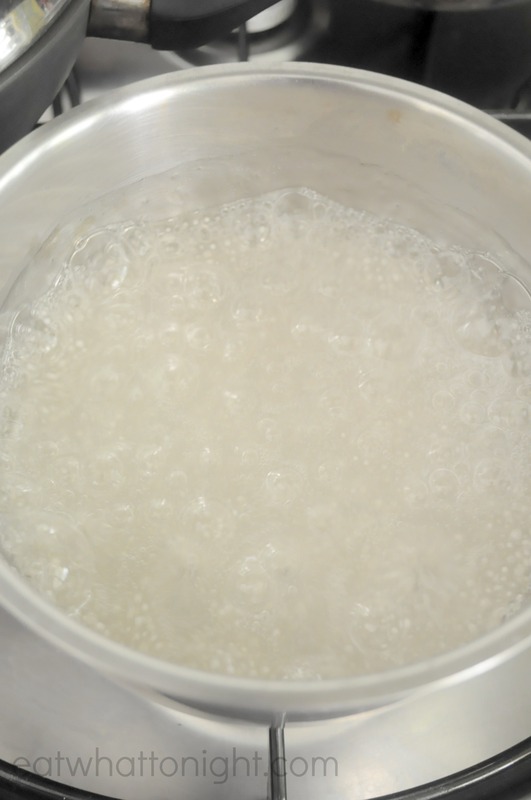 Simmers sago with boiling water in wok until it turns transparent in color. Remove and set aside to cool. Add in al ingredients B into bowl, mix well and serve.